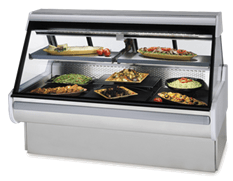 Outfitting your restaurant for optimal functionality of your Commercial Restaurant Equipment is best left up to the professional designers who are innovative in their thinking and up-to-date with the latest trends. Efficiency is essential for productivity which triggers down to positively impact on customer satisfaction, enhancing and increasing the high-quality of customer experience tenfold, yes, tenfold! You know what you want, what you need and what you may need. Categorizing your priority list in terms of essentials, can help you to narrow down which your Commercial Restaurant Equipmentis most essential. But first, you need to measure your area, so you know how much space you have, to work with. No sense in making a lengthy list when you may not even have the space. Measurements also help you to decide on what size of equipment is more practical for your space and needs. When outfitting your restaurant, research top quality brands because these are more durable and offers more longevity than no-name brands or brands that cost considerably less. While trying to save on the cost of your Commercial Restaurant Equipment you must not settle for low quality. Nothing is wrong with purchasing a no-name brand, just ensure that you thoroughly research it before you make your decision. In addition to researching the features and functions, research the manufacturer’s reputation as well. Ensure that whatever you choose, meets with all the restaurant codes as well as provides functionality, safety and reliability. You don’t need to purchase those giant-sized floor Commercial Restaurant Equipment. Instead, think beyond the floor and look upward or straight ahead. Counter top stoves and wall ovens saves you a considerable amount of storage space. Figure out the processes from prepping to cooking to serving so that you get a general idea of what equipment comes first, second, third and so on. You wouldn’t want to have to be cooking something and then have to go all the way across the room to prep it first. Time management is also key and looking beyond the floor can help you in deciding where each equipment should be installed for optimal efficiency.